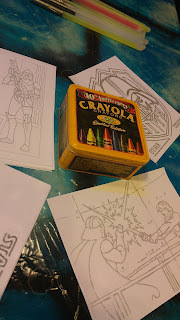 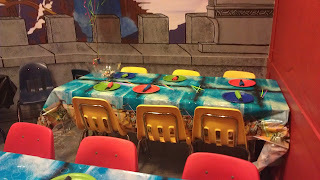 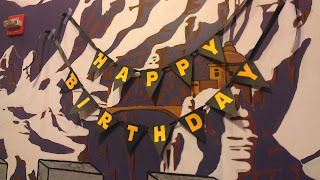 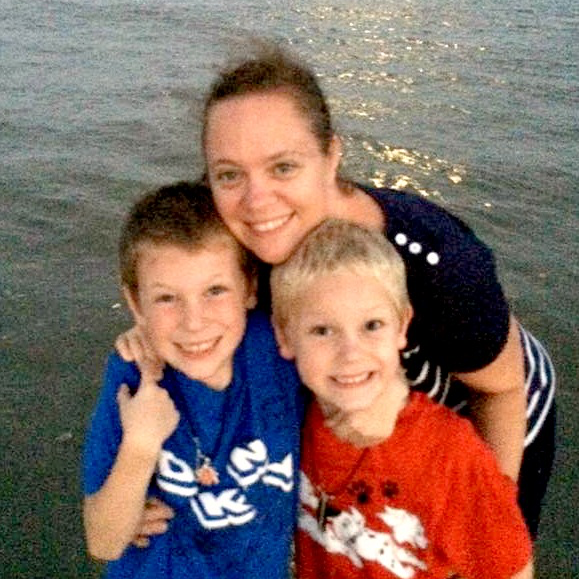 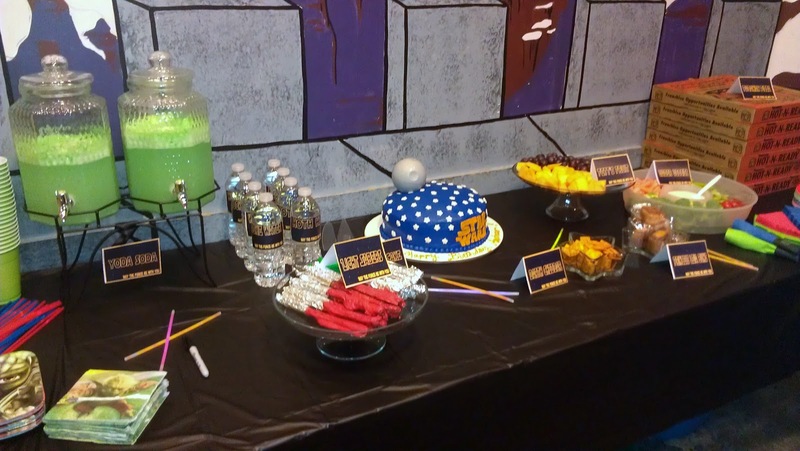 A very good friend of mine recently celebrated her son's 7th birthday and I was more then happy to help with a few details to make the party extra special. 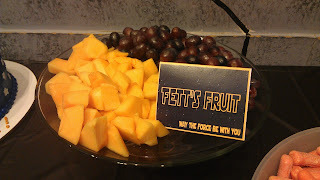 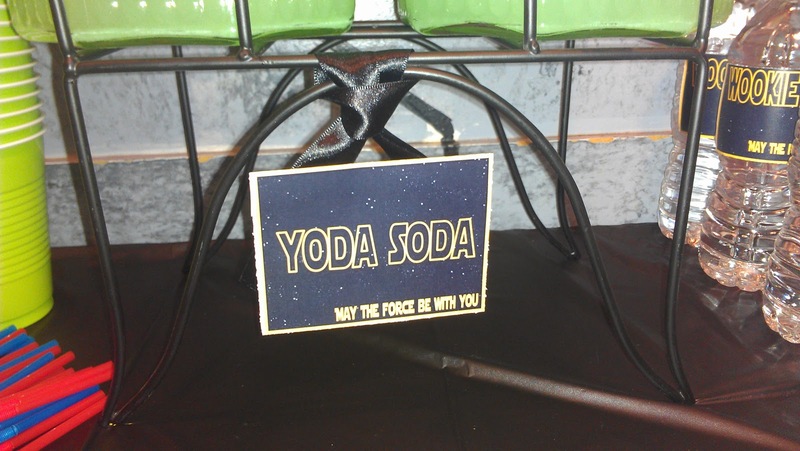 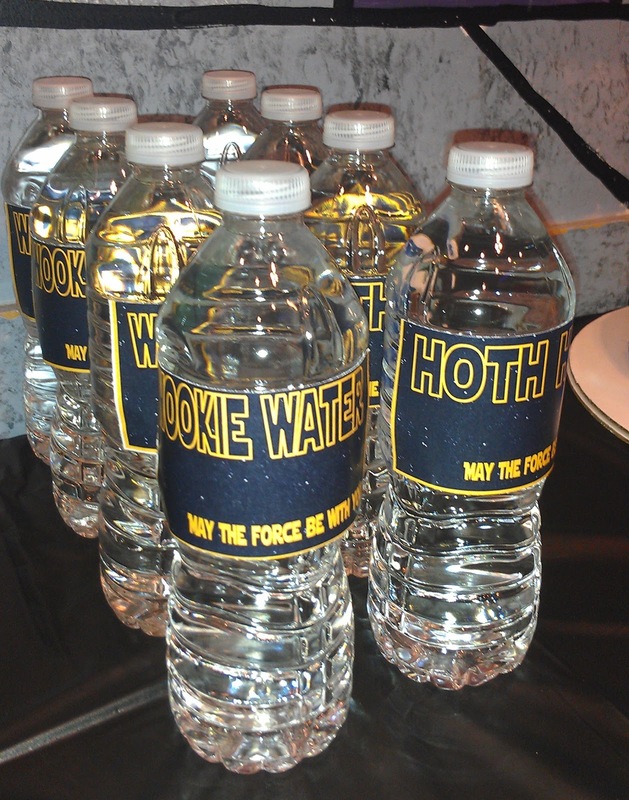 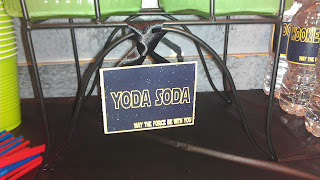 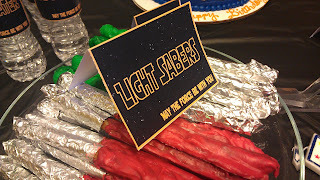 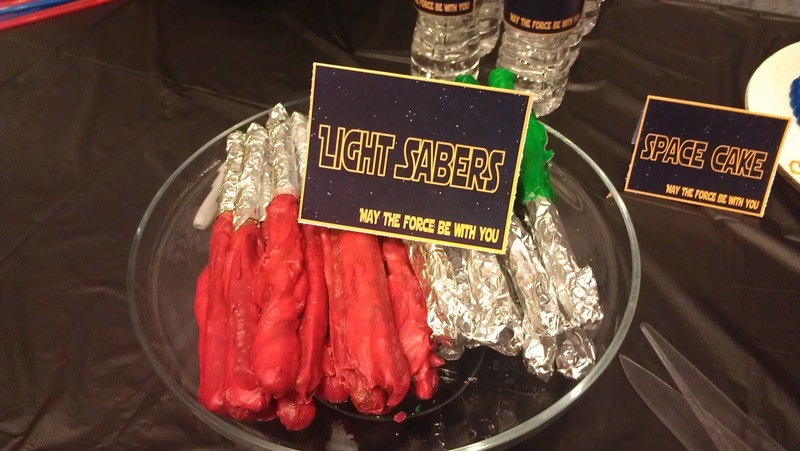 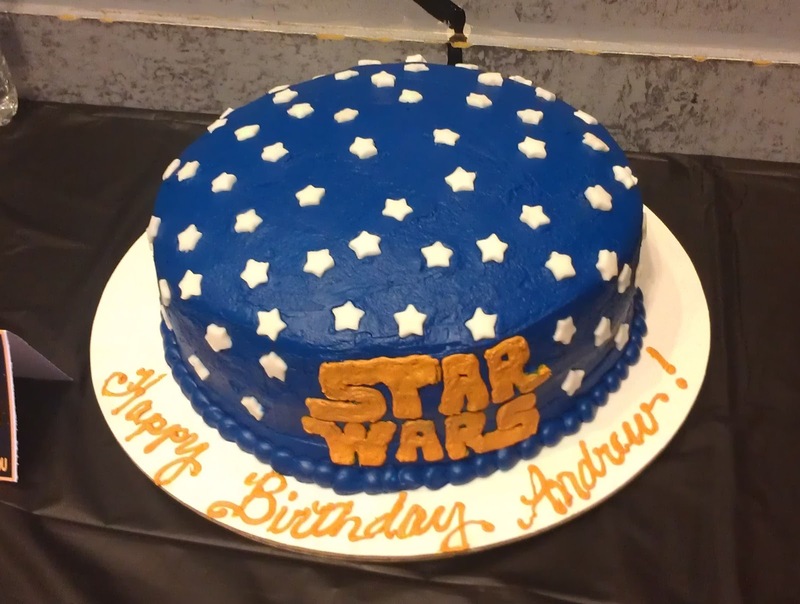 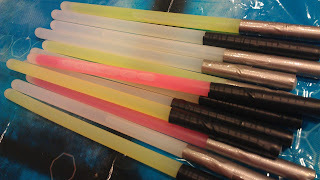 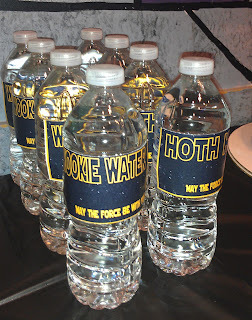 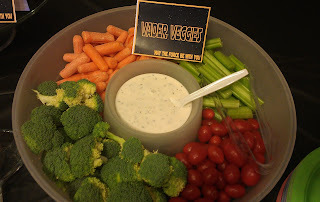 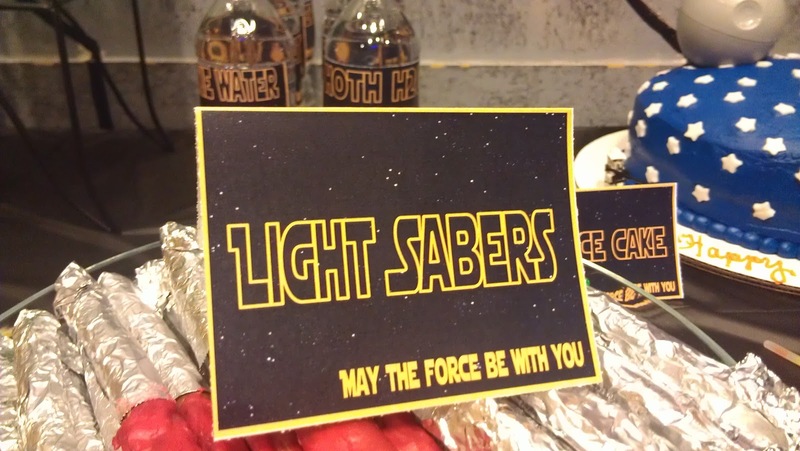 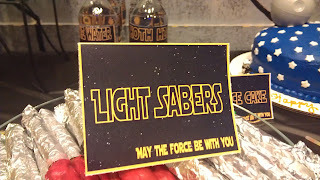 The party was inspired by his love for Star Wars and with the help of Pinterest, the party was a success. 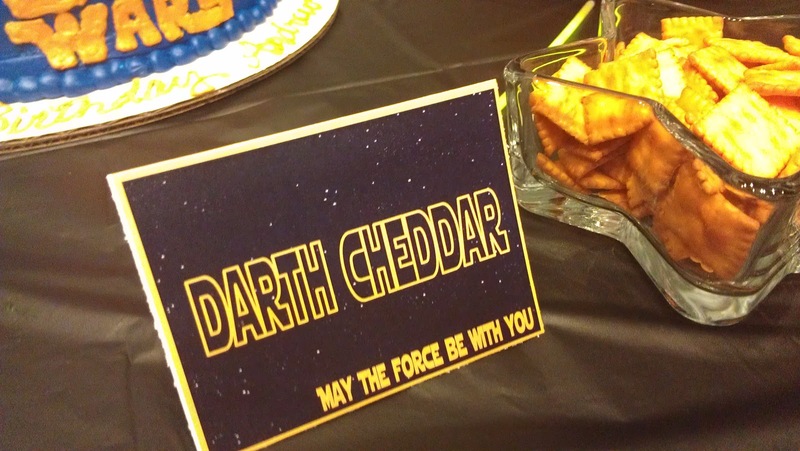 Star print food tags with inspired food names. 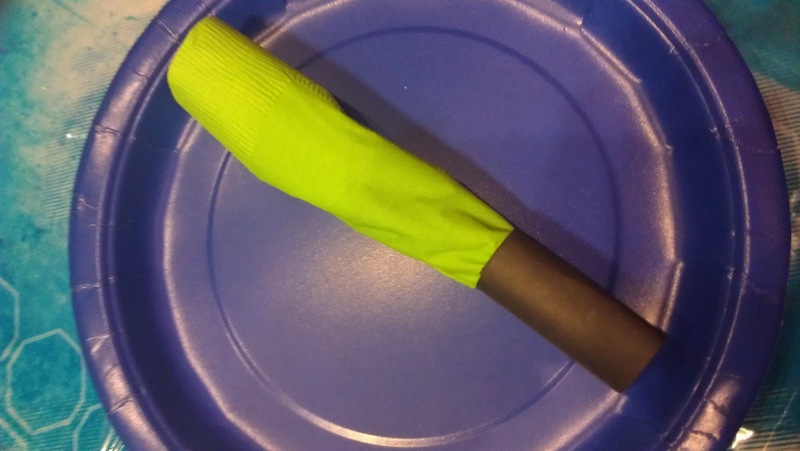 Napkin, wrapped around forks, with black paper. 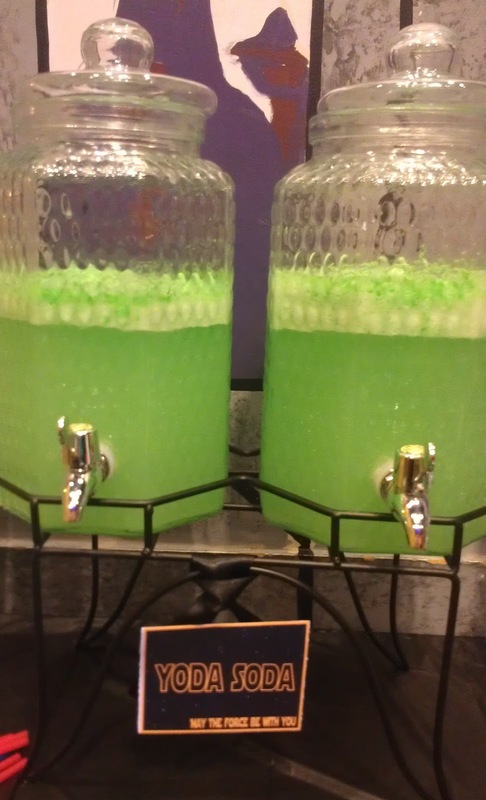 The party was held at a Laser Tag Center. 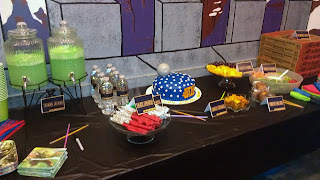 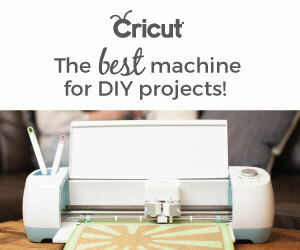 It was such a great party and I loved how she set everything up!